A 19-hour siege of the DusitD2 hotel and business complex on Tuesday ended with five attackers “eliminated”, President Uhuru Kenyatta said. Dubbed “Odu Cobra” by his friends, James Oduor died on the eve of his birthday and was known for his passion for football. He loved the grassroots game and set up the YouTube fan site, Wadau TV, a year ago. Waaaah. What’s happening at 14 Riverside fam? Any news from out there? 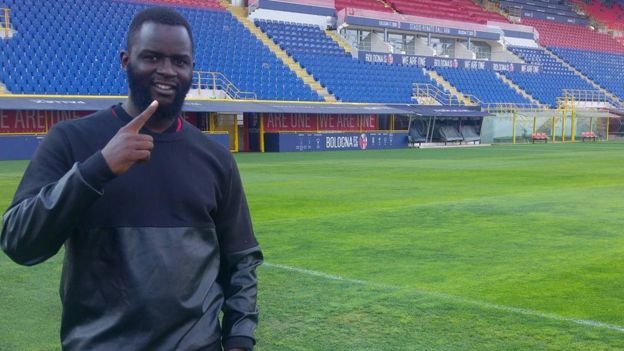 According to those sharing tributes to him on a site set up to remember him, he was an ardent supporter of the English premier league side Manchester United and played for a local team. “Manchester United Kenya will miss a loyal fan. And our football team will miss a leader and a brother. Thanks for all the memories and games we had together. Fare thee well. You will be received well by the legends up there,” one person wrote. He also worked for LG Electronics, which has offices in the Dusit complex. 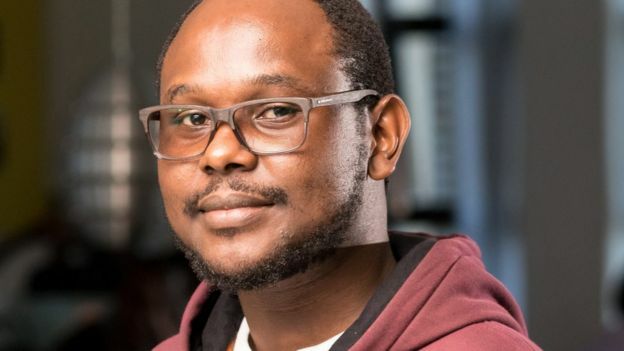 Tweeting in the wake of the attack, Mr Oduor said that he had heard “gunshots and non-stop explosions” and said that he and his colleagues were trapped. “Your good spirit will live on in football. You did your part,” president of the Football Kenya Federation Nick Mwendwa tweeted after it was announced that he had died in the attack. His close friend James Magayi, from the Sports Journalists Association of Kenya, told Citizen TV that he had seen Mr Oduor at a business meeting on Tuesday morning. “We made some banter about his beard; I remember telling him that he needed to trim it,” he said. A statement released by LG Electronics described him “not just an incredible employee, but a truly inspiring and genuine human being”. 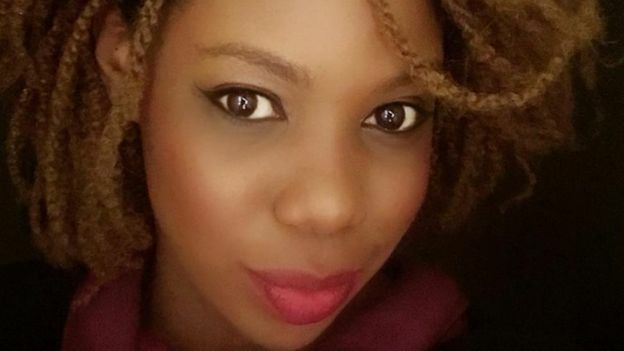 In the moments after the shooting began at the DusitD2 hotel and business complex, Bernadette Konjalo was helping to guide guests to safety. Then she, along with some of her hotel colleagues, retreated when they saw the gunmen at the main entrance, but they were not able to outrun or hide from them, Kenya’s Daily Nation newspaper reports. Ms Konjalo had risen through the ranks to become the director of revenue of the DusitD2 having joined the hotel in 2014 as a front office manager. Tributes have been paid to her on Facebook where one of her last posts was a composite image of herself taking part in the #10YearChallenge – a recent social media trend to post a 2009 photo of yourself next to a recent one, to show how much you’ve changed in a decade. Her family, from the western county of Siaya, say the youngest of four siblings was outgoing and supported her relatives financially, including paying school fees for some. In a Facebook post, Georges Nato commended his friend’s bravery: “Bernadette Konjalo you are one tough mama! Ms Konjalo is one of six staff at Nairobi’s DusitD2 hotel who are known to have died following last week’s attack. The others victims were Erickson Mogaka, Trufosa Nyaboke, Dedricks Lemisi, Zackary Nyambwaga and Beatrice Mutua, according to the company. “Shine on, dear friends”, read the hotel’s tribute posted to Twitter. A memorial service is to be held on Wednesday, DusitD2 said. An American tech CEO who survived 11 September World Trade Centre terror attack in New York in 2001 was among the victims of the hotel attack. “It is with a heavy heart that I have to report that my brother Jason Spindler passed away this morning during a terror attack in Nairobi, Kenya. Jason was a survivor of 9/11 and a fighter. I am sure he gave them hell!” his brother Jonathan said in a private Facebook post. Mr Spindler was working for investment bank Salomon Smith Barney in the World Trade Center when his building collapsed in the aftermath of the 9/11 attacks, reports AFP. That ordeal changed his life, said Mr Spindler’s friend and former roommate from the University of Texas. 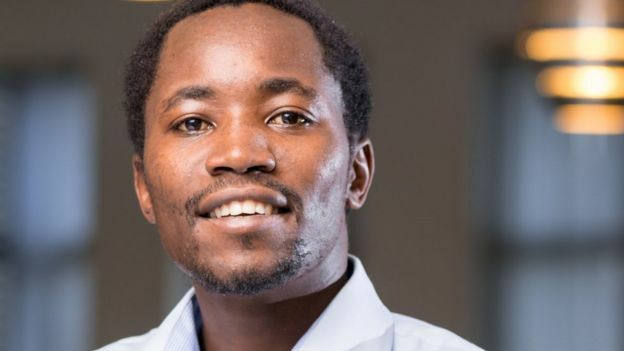 “Something struck a nerve and changed how he felt and thought about things,” Kevin Yu told the Washington Post..
Mr Spindler became co-founder and CEO of I-Dev International – a company focused on financial innovations to reduce poverty – he was working in Kenya on a mini-power grid project tailored for remote areas. The I-Dev website goes on to say that he studied business at the University of Texas at Austin, then law at New York University and had served for the US peace Corps in Peru. 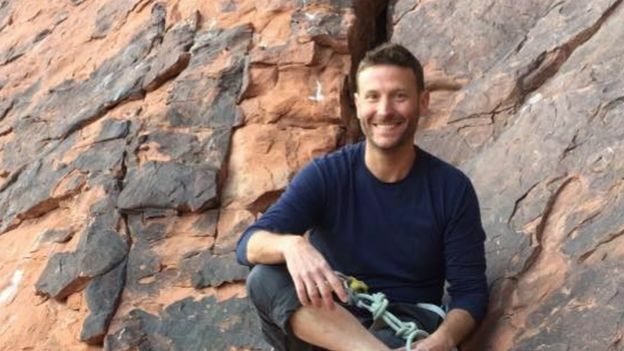 In an interview with US broadcaster NBC, his mother Sarah Spindler said that Jason was trying to “make a positive change in the third world in emerging markets”. 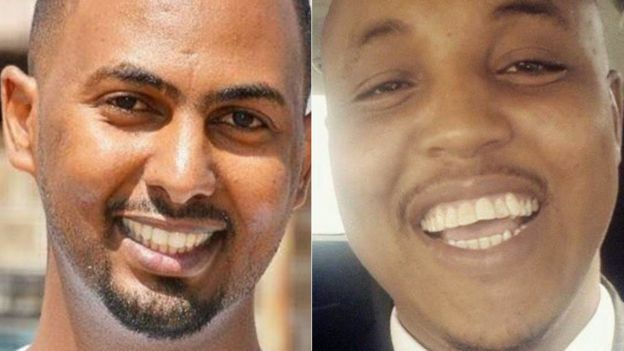 Kenyan development consultants Feisal Ahmed, 31, and Abdalla Dahir, 33, who worked for Adam Smith International (ASI), were having lunch together at the Secret Garden restaurant in the grounds of the hotel when the suicide bomber struck. Friends and relatives described Mr Ahmed and Mr Dahir as inseparable. “They were close buddies,” Mr Ahmed’s brother-in-law Abdullahi Keinan told the Reuters news agency. They had been working for the Somalia Stability Fund managed by ASI to “bring peace and prosperity to Somalia”, ASI said on their website. “He [Ahmed] was an outgoing funny guy, charismatic. He was loved by everybody,” said Mohammed Abdilatif, a close friend and colleague told Reuters. 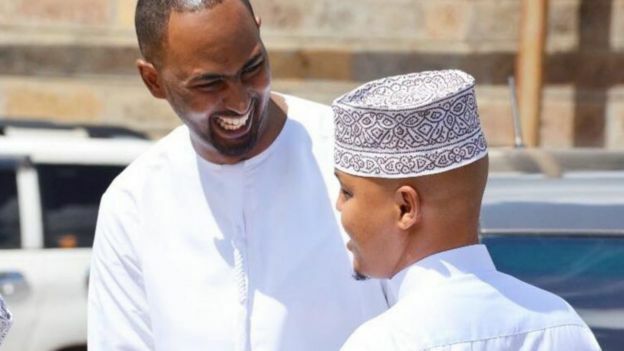 Mr Ahmed’s widow is reportedly seven months pregnant. Mr Dahir’s LinkedIn profile says he was passionate about photography and sharing “the stories of vulnerable people especially the voiceless victims of violence in order to educate the world about the detrimental impacts of war”. A joint funeral was held for them on Wednesday. Briton Luke Potter worked for the charity Gatsby Africa as their Africa programmes director. He described himself on his company website as loving water-sports, camping, hiking and talking about adventures outside the city. Mr Potter held dual South African nationality and had only recently moved to Nairobi from Britain. Gatsby Africa said in a statement that he had devoted the past 10 years to “helping some of the poorest and most vulnerable people in the world”. It said he played an “instrumental” role in establishing the organisation’s forestry programme in Kenya and provided “crucial leadership, guidance and support” to other programmes in Tanzania and Rwanda. 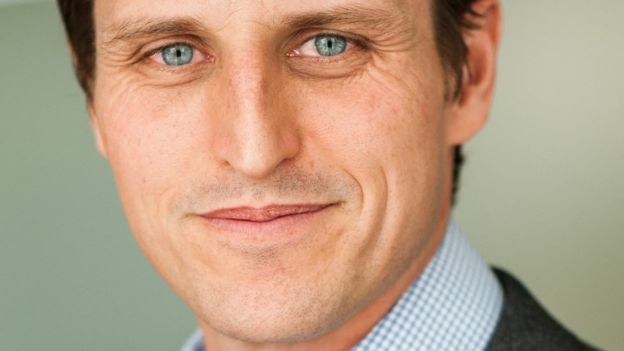 “He brought a calm head and his unique sense of humour to every situation,” the company added. Jeremiah was not just a leader, he was a brother and a mentor to many. He guided his team with humility and corrected with humor. He loved God and everyone he came across; and always challenged his team to grow. 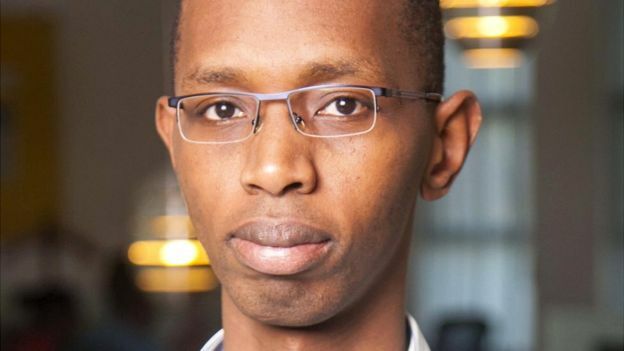 Described as one of Africa’s most innovative start-ups in the world of financial technology, Cellulant lost six members of staff in the attack. 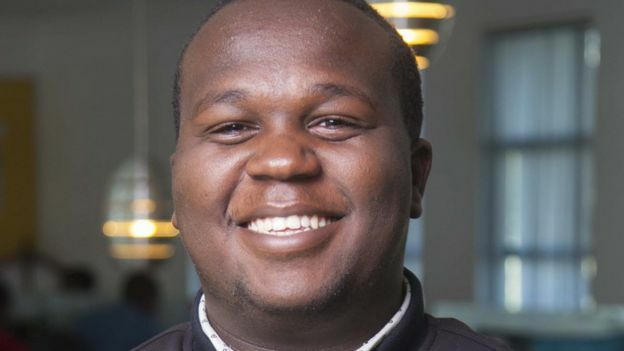 “Jeremiah was not just a leader, he was a brother and a mentor to many”, the company said on Twitter. 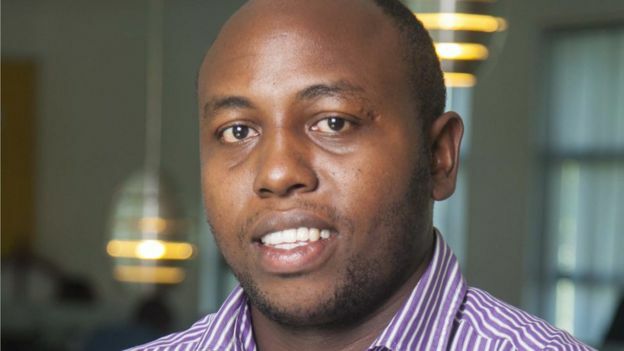 Cellulant engineer Kelvin Gitonga was passionate about his job and believed “technology would change the world”, the firm said. They described “an intelligent and versatile engineer” with a thirst for knowledge and learning. Ashford Kuria is fondly remembered as “the ultimate geek”. “His knowledge of everything about everything was hilarious,” the Twitter tribute from his employer added. 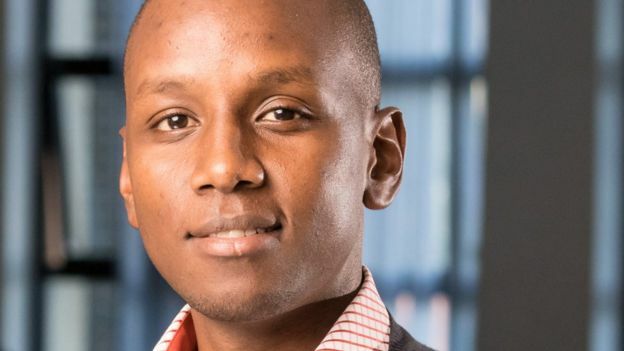 “Energetic” and “happy” is how Wilfred Kareithi’s employers described him. Mr Kareithi was working as an engineer at Cellulant, who said he “never shied away” from taking on the most challenging of tasks. “He helped unconditionally, and always sought to mentor new staff members and share knowledge,” Cellulant’s statement added. “Just because it is not my job, doesn’t mean I can’t do it”, John Ndiritu was known to tell colleagues in need of help. As Cellulant’s quality assurance tester, “he was always willing to go the extra mile to help when called upon,” the company said in a statement on Twitter. “Jovial, calm and best-known for his humour,” is how they summed up his personality. “Denis was a curious explorer, strategic thinker, a gentleman and exemplary leader,” according to his employer. Cellulant said it secured coveted information security certification thanks to Mr Mwankiki’s “intellect”, adding that he will be remembered as “a calm and humble spirit”. 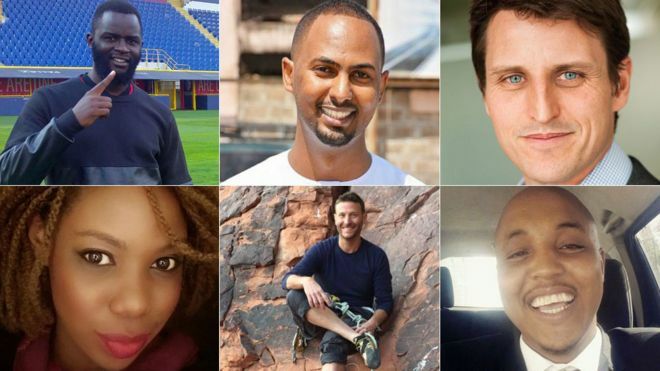 A public memorial is to be held on Tuesday in honour of the six people working for Cellulant who were killed. Tributes have been paid to them on social media by former colleagues as well as the head of the African Development Bank, who called them “top notch talents” and “precious souls”. The six, who were among 21 people who lost their lives in the unfortunate incident, were among the top brass of the tech firm.